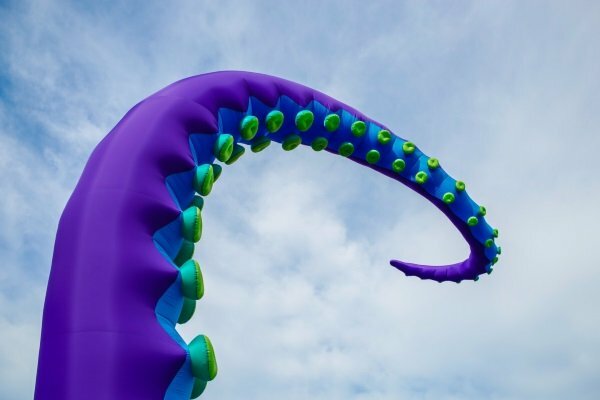 The Philadelphia Navy Yard and artist collective Group X have teamed up to begat “Sea Monsters HERE”, the largest inflatable tentacle structure ever created. 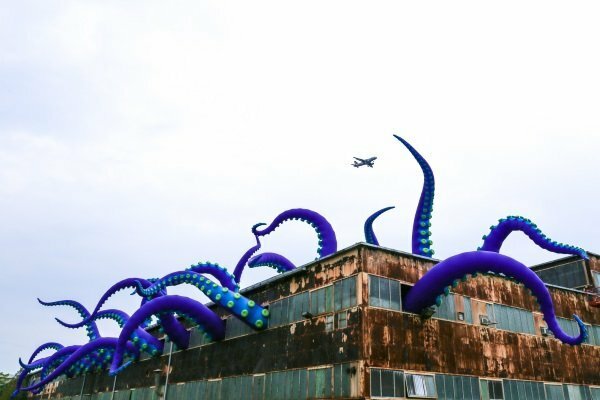 OK, you could probably count the number of inflatable tentacle sculptures on one hand, er, arm but let’s not diminish this truly awe-inspiring (if not nightmare-inducing) installation in any way. UK-based artists Filthy Luker and Pedro Estrellas have gone the extra 20,000th league to produce a unique work of art on a truly massive scale. Rome wasn’t built in a day; ditto for this enormous Kraken That Ate Philly. Beginning in the last week of September, the artists finally completed the installation on Sunday, October 7th… it opened to the public on the very next day. Like any self-respecting sea monster (or Honeycomb cereal, for that matter), Sea Monsters HERE is BIG, yeah yeah yeah! 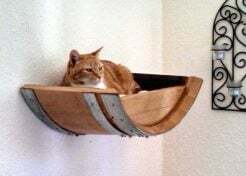 Ideally viewed from the corner of 13th Street and Flagship Avenue, the installation can also be seen from watercraft plying the Delaware River and by passengers on planes flying to and from PHL International Airport. 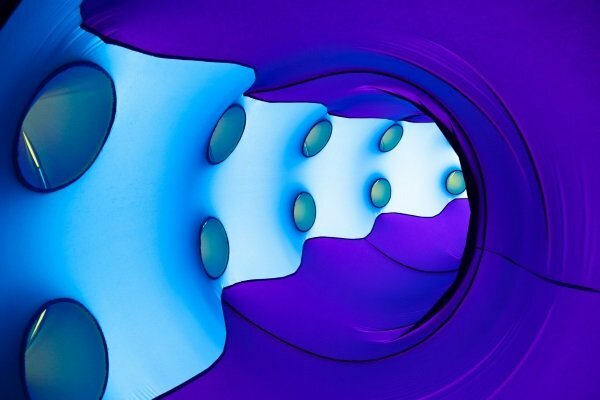 The artwork is a temporary installation: due to its inflatable nature, it’s doubtful the sculpture as a whole could survive a typically snowy Philadelphia winter, not to mention an average nor’easter. 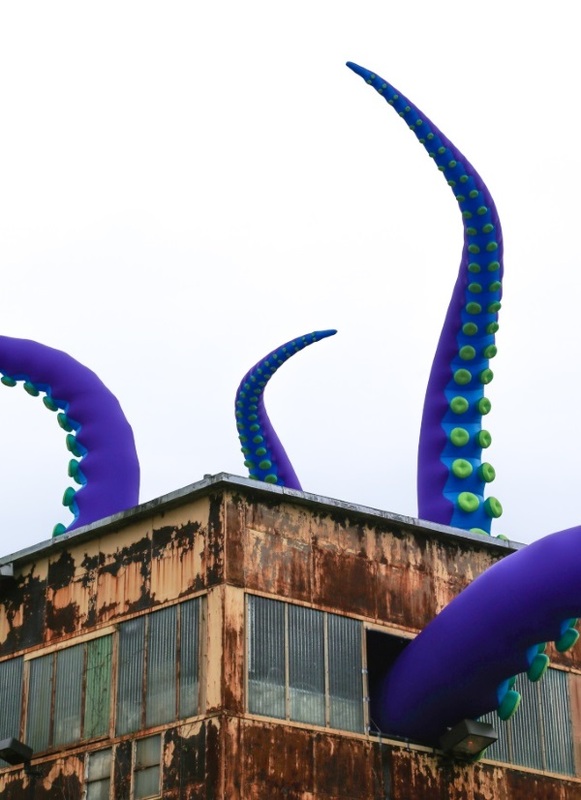 But that’s by-the-by… for the moment at least, a forest of airy arms emerging from Building 611’s many windows and roof apertures, animated by gentle breezes, evokes the image of a huge tentacled sea creature imprisoned within the building… and trying to get out!